Turkish tobacco, Balkan or Oriental tobacco is a highly aromatic, small-leafed variety of tobacco which is sun-cured. Historically, it was cultivated primarily in Thrace and Macedonia, now divided among Greece, Bulgaria, the Republic of Macedonia, and Turkey, but it is now also grown on the Black Sea coast of Turkey, in Egypt, in South Africa, and elsewhere. The name "Turkish" refers to the Ottoman Empire, which ruled the historic production areas until the late 19th/early 20th century. 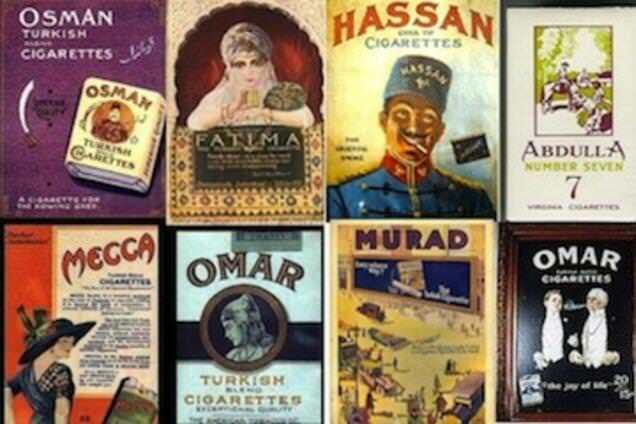 Many of the early brands of cigarettes were made mostly or entirely of Turkish tobacco; today, its main use is in blends of pipe and especially cigarette tobacco. Turkish tobacco has a much milder flavor and contains less nicotine and fewer carcinogens than other varieties. Cigarettes containing only Turkish tobacco, like Murad, Helmar, Balkan Sobranie or those supplied by urban tobacconists like Fribourg & Treyer or Sullivan Powell in London, are no longer available. 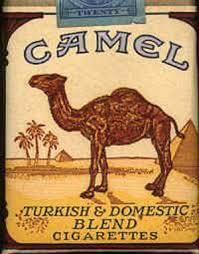 Blends, however, persist: the American Blend cigarette Camel, in particular, uses Turkish mixed with more robust tobacco such as Virginia tobacco and Burley. The old Chesterfield brand also contained Turkish. Turkish tobacco plants usually have a greater number and smaller size leaves. These differences can be attributed to climate, soil, cultivation, and treatment methods. Tobacco originated in the Americas and was introduced to the Ottoman Turks by the Spanish. The Ottoman peoples over time developed their own method of growing and using tobacco. The Ottomans also developed different methods of consuming tobacco, including the hookah. We use Izmir and Yenidje leaf in Real Extracts Turkish vaping elixir. — Tobacco (tütün) is not native to Turkey, but to North America. Tobacco was imported to the Ottoman Empire to be cultivated. — The finest Turkish tobacco was not grown in Turkey proper. It's the prized Yenice (YEH-nee-jeh) leaf developed in Macedonia (although Yenice leaf is now raised in Turkey along the Black Sea coast.) Mild Turkish tobacco is blended with stronger, fuller Virginia and Burley tobaccos to make a full-flavored, satisfying smoke. — Manufactured cigarettes (sigara) sold in pack(et)s are a 19th-century invention. Before the development of the cigarette-manufacturing machine, smokers rolled their own or, more commonly in Ottoman lands, smoked tobacco in long-shafted pipes called çibuk (chee-BOOK) or çubuk (choo-BOOK, "stick"). — The nargile (hookah, hubble-bubble or water pipe) is currently enjoying a renaissance of interest in Turkey. — Tobacco is still an important export crop in Turkey. It's grown along the Aegean coast near Izmir and Ephesus, and along the Black Sea coast between Sinop and Samsun. About Samsun - Samsun grows in the Black Sea region of Eastern Turkey. McClelland has secured the finest Samsun Maden-Canek leaves. They are small, thin, and elastic with a mellow, pleasant, distinctive aroma. Their sweet taste is like the sweetness in a nut meat or sunflower seed. They come from the hinterland of Samsun, mainly to the West of the Yesih Irmak River delta where the climate is very similar to the best Macedonian and Thracian growing areas. Samsun and all Classic Oriental leaves are picked one by one as they ripen, like flue-cured Virginias.